This is closer to the true color. Notes: I used size 9 needles for this DK weight yarn to give the scarf more loft, and to stretch out the limited yardage because I really wanted a scarf. It still turned out a bit short so I sewed the ends together and turned it into a cowl. This was knitted during my post holiday Downton Abbey marathon (I watched all three seasons on Amazon Prime in about a week). 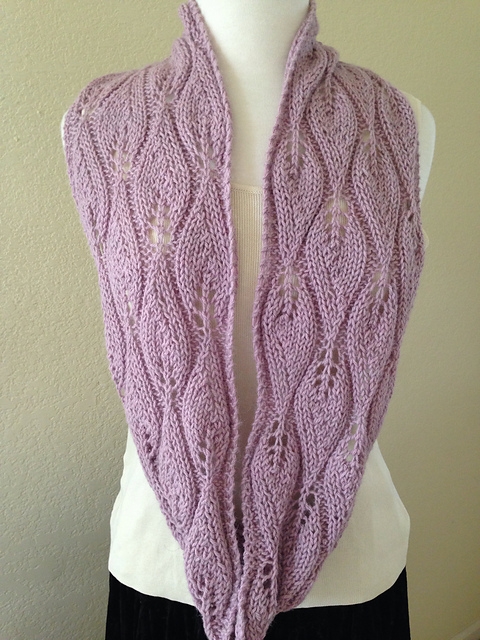 This cowl will always remind me of Lady Mary or Anna. Gorgeous!!!!! I must mark that patten. I love it as a cowl. 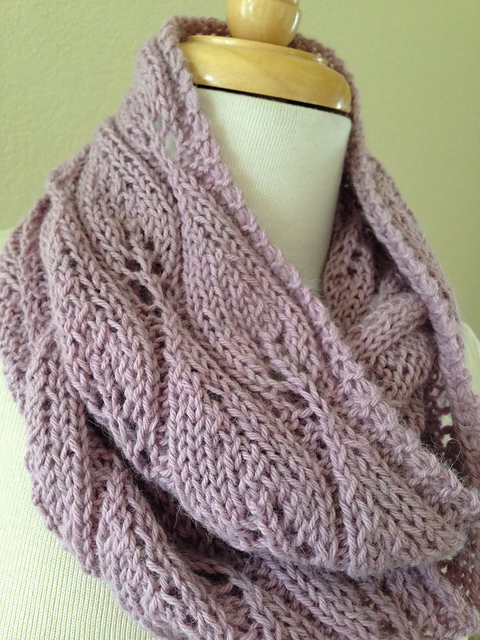 I love this as a cowl and the color is gorgeous! I always wonder about going up the needle sizes and how it will affect the pattern. I know, I know, it's all about gauge. That is so pretty! I bet that alpaca is amazing against your skin. As soon as the picture loaded..I went ...oh my gosh I love this! It is beautiful!